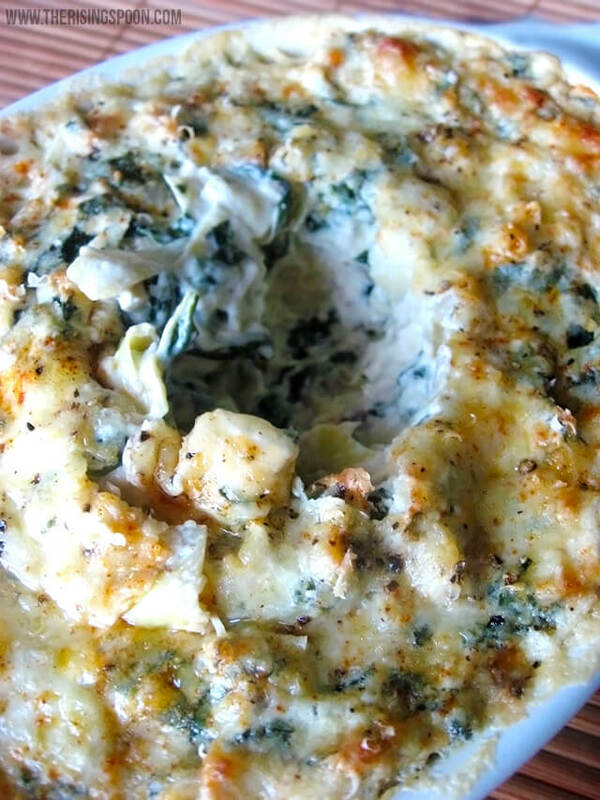 A creamy, cheesy, tangy & savory spinach and artichoke dip recipe without mayo. 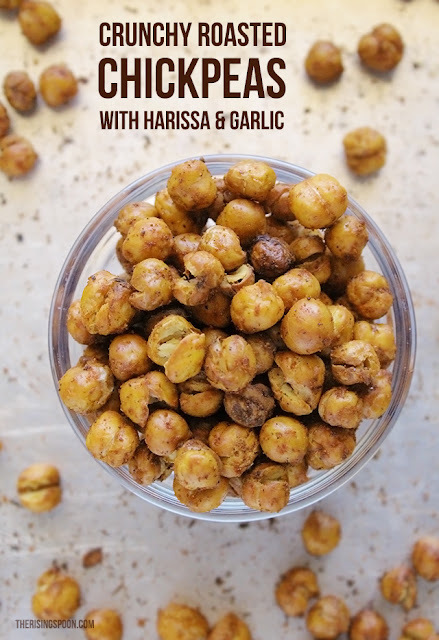 Make a batch the next time you want a comforting appetizer or snack without the food coma! When my boyfriend proclaimed the other day that he had an odd hankering for spinach dip, I jumped on the opportunity to make a spinach and artichoke dip. 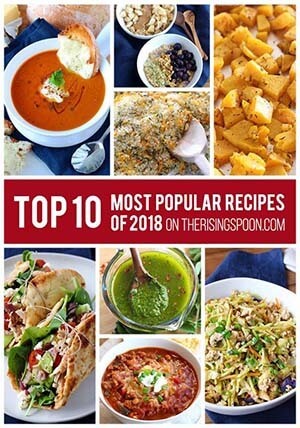 I browsed several online recipes for inspiration, mostly to make sure I didn't forget any essential ingredients and noticed many recipes called for mayo. It's no secret that I'm a mustard gal. Mayo serves a purpose, but it's not something I particularly cherish or crave. Especially when I can't get a ready-made jar with decent ingredients. All the store-bought bottles are made with either soybean or canola oil. Don't let the "extra virgin olive oil" on the front label fool ya. They might add a splash or two of olive oil, but the rest is inexpensive, genetically modified (GMO) oil. Even though I generally follow the 80/20 rule or heck 70/30 (stress caused by eating is no good), there are certain ingredients I make a point of avoiding when I can. GMO oils are one of them. For this reason, I typically forgo mayonnaise. Someday soon I'll use my stand mixer or immersion blender to make it homemade with olive oil. Until then, I'll rely on my favorite substitute for mayonnaise: sour cream. I don't purchase low-fat or fat-free products anymore. Without the fat, your body can't absorb the fat-soluble vitamins in the foods (like dairy) and when the fat is stripped out, over-processed filler ingredients are usually added back in so it tastes edible. I'd much rather have a flavorful dish sans the additives and indulge in moderation...or not! But at the same time, I didn't want the spinach and artichoke dip to put me into a cheese coma, so I fiddled with the ratios until the veggies and cheese were closer to equal proportions. 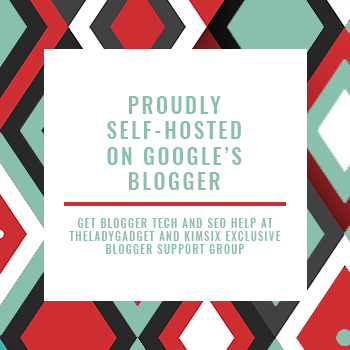 I also used neufchâtel cheese instead of regular cream cheese, which reduced the calories and fat slightly without the use of uber-processed ingredients. Goat cheese would work well although it'd create a tangier spinach and artichoke dip. In the end, the dip turned out delicious. Creamy, cheesy, tangy and savory all in one. My boyfriend and I polished it off with tortilla chips and didn't fall into a food coma afterward. That's always a bonus after digging into comfort food. 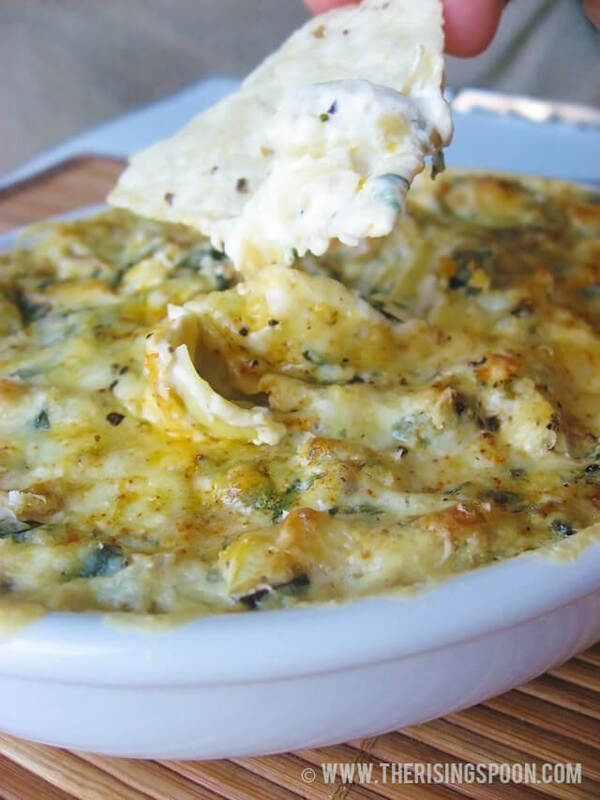 Homemade spinach and artichoke dip without mayo. The ratio of cheese and sour cream to veggies is more even so this healthy dip will give you plenty of cheesy comfort without a food coma afterward. Pre-heat the oven to 375 degrees. Heat a cast-iron skillet or cooking pan to medium heat, add your butter or oil and dice the onion. Cook the onion for 5-7 minutes. Meanwhile, cut the stems off the spinach and discard, chop the leaves roughly and rinse them using a colander. When the onions are translucent and starting to caramelize, add the spinach. If you're using a smaller pan you may have to add 1/2 the spinach, let it wilt, then throw in the rest. Using tongs or a wooden spoon, stir the spinach and while it cooks down, peel and mince the garlic cloves. When the spinach is nearly finished, add the minced garlic, cook for two minutes, then remove from the heat. Season the mixture with sea salt, cracked black pepper, granulated garlic, and cayenne pepper to taste. In a medium sized bowl, combine the neufchâtel (or regular cream cheese), sour cream, mozzarella cheese and Parmesan cheese. Use a large fork or potato masher to combine the cheeses. 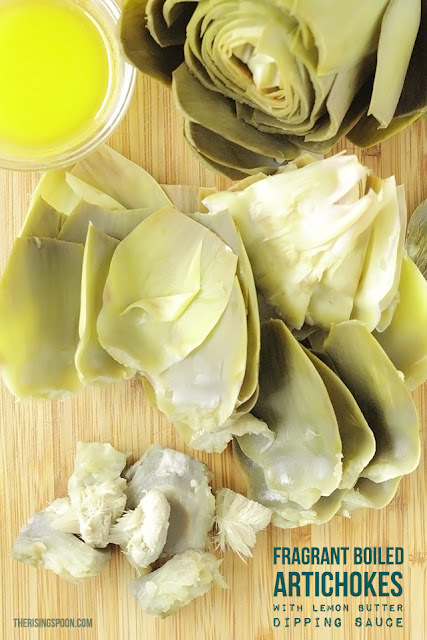 Drain and chop the artichoke hearts. Stir the spinach and artichokes into the mixture and then season to taste with more sea salt, cracked black pepper, granulated garlic & cayenne pepper. To brighten the flavor, add in a bit of fresh lemon juice. Pour the dip into an oven-safe baking dish and top with more grated mozzarella and Parmesan cheese. Bake for 25 minutes, or until the cheese on top is melted and the mixture is bubbly and warm throughout. Serve immediately with tortilla chips, sliced bread, crackers or vegetables. 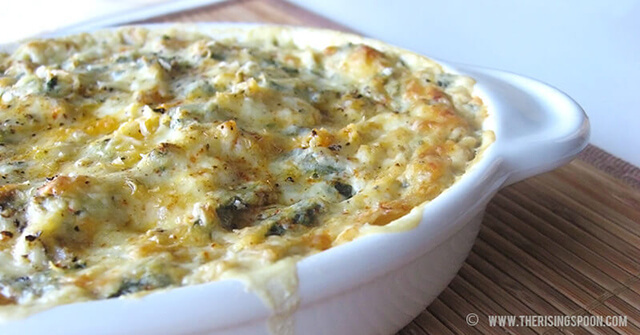 If your cast-iron skillet is small enough, you can add the cheese mixture to the spinach, top with more cheese and bake the spinach and artichoke dip in it. You can substitute frozen spinach instead of fresh. Simply thaw and squeeze the spinach well to remove all excess water. The spinach and artichoke mixture can be made a few days beforehand and kept in the fridge until ready to bake. I haven't tried it yet, but I believe you can freeze it, as well. So, if you want to make a double or triple batch and freeze portions for later, that should work fine. The dip still tastes good reheated but is best fresh out of the oven. If you're serving a crowd, double or triple the recipe and use a larger baking dish. 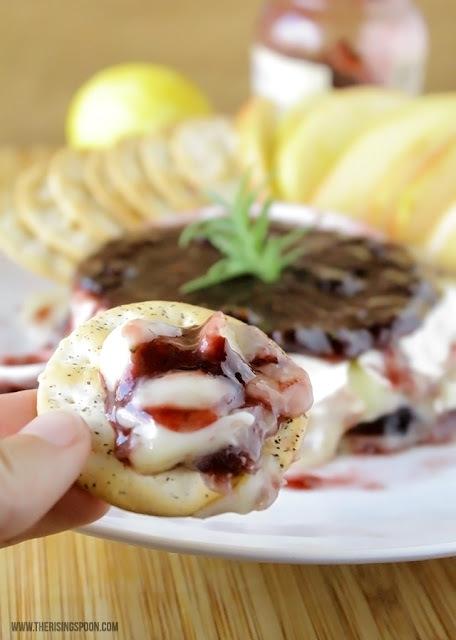 What's your favorite comfort food appetizer?